← President Donald Trump Lays Wreath Honoring Dr. Martin Luther King Jr…. There is a generation of people new to the nuance of politics. There is also a generation of people familiar to things political, but new to the severe constructs within the industry. Nothing the institutional or professionally political-left does is organic. Everything is pre-planned, pre-scripted and pre-organized. All major events, even those that seem oddly organic (George Stephanopoulos asking Romney about constitutionality of birth control ’12), are highly scripted – while various elements within allied media await the triggering moments. Like a political iceberg, two-thirds of the activity is below the surface; only one-third is visible. If we focus on the surface events, and not on the constructs under the surface, its easy to get caught up in the latest shiny thing. This is all they do; this is all they know to do. From birth to maturity, within the machine, every moment of the day is spent planning optimum utilization. Every event is sequential. This is not to say there are no grassroots elements within leftist designs. However, grassroots leftists (former Bernie Sanders supporters) are so blindly connected to the indoctrination that creates them, they cannot see the machinery. The campaign of Donald Trump awakened an entire generation of conservative republicans to the machinery on the right side of the UniParty. Some people became completely awakened; others were just shocked. Everyone watched as the republican machinery was exposed by Donald Trump playing the role of Toto. However, on the leftist side of the UniParty, that awakening has not happened. This is a key point to remember. Despite candidate Bernie Sanders having the opportunity to reveal the left-side of the machine…. he didn’t. Sanders acquiesced, took measure of benefit, ran the financial calculations and backed down. The smart Sanders supporters saw it all, jaw agape, and became a wandering tribe. The media will never admit it, but many awakened Democrats supported Donald Trump. Remember, RULE #1: Everything the institutional left does is by design. The DNC nominee [there could be two (think Rubio/Jeb)] for 2020 has been fully briefed; and that person knows not to step into the political thunderdome until after Nancy Pelosi executes the triggering event. Big money donors control the DNC machinery. The DNC planned candidate will announce their run after Jerry Nadler begins executing the ‘impeachment’ strategy. Any Democrat who announces prior to April 15th, is not going to be supported by the machine. This UniParty approach is identical. 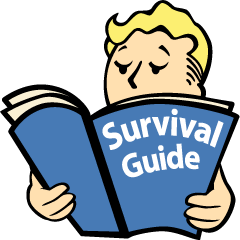 The RNC (2015) and the DNC (2019), are two versions of the same Big Club instruction book. The manufacturing was/is also specifically purposeful. Why the focus on religion with Second Lady, Karen Pence? 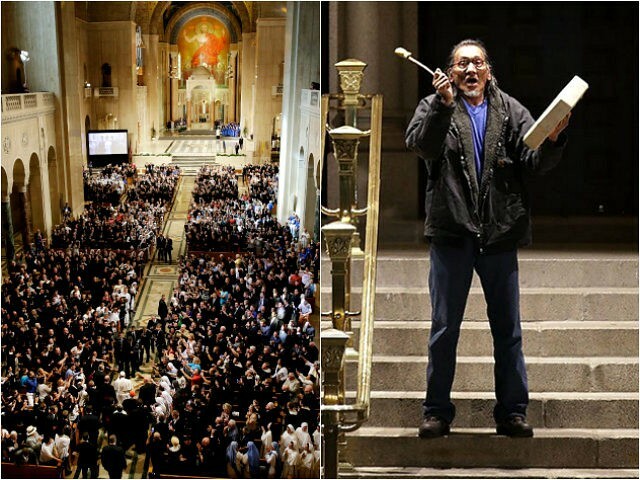 Why the focus on “Catholic” disparagement in the Covington fiasco? This entry was posted in Big Government, Big Stupid Government, Decepticons, Deep State, Dem Hypocrisy, Election 2020, Fabian Socialists - Modern Progressives, Jeb Bush, media bias, Notorious Liars, Political correctness/cultural marxism, Professional Idiots, propaganda, Typical Prog Behavior, Uncategorized. Bookmark the permalink. #13, like Bill O’Reilly? … I don’t know the man, but how is inviting a lady you’re known for years to your suite for a drink cause for a lawsuit? The Left is far more organized than the right. One knock on the Trump Administration is no message discipline. …The Left is more organized because they accept ruthlessness. Their leaders are control zealots who attract submissive zealots. Neither group concerns itself with right or wrong…either group is dangerous. They are ruthless in appearance because they are always in attack mode. We are always in defense mode. The GOP are ego maniac likes to grandstand. Example, MCStain, Flakes and Mittens. Progressive Repubs like those you named and many more are “Progressives”, not that different from Progressive Marxist DemocRats. It takes TWO to tango and the Estab Repubs and D’Rats have been waltzing us into a NWO of two classes: super rich and peasants. It can be labeled Marxist/Fascist/Islamic (but all Tyranny) depending on the “Sector” of the NWO Globe being ruled. This is a Big War and if we lose it will be another Dark Age for us peasants for hundreds of years. Please be aware of their Evil and Pre-pare accordingly. As organizations go, both the (D) machine and the (R) machine are both well organized elements of the same global financial and political agenda – Globalization. The (D)’s appear more organized because their political ideology aligns with the end-game of Globalism and its central control. The (R)’s appear feckless, unable to “beat” the left because they must pretend to be fighting the central-state ideology of which, they are an essential element. I think you give them too much credit. The left broke its own unwritten rules — there used to be a rule about the application of useful idiots and never letting them actually take leadership. That turns them into dangerous idiots and the agenda among useful idiots often collide with other useful idiots. If you’re recognized the numerous instances where the “left eat their own” then you would recognize they are not quite so well organized in that they do not all agree on who needs to be attacked and who not to attack. Underestimating your enemy is Fatal. Fatal Consequences, not “bad”, but Fatal when dealing with Marxists like Lenin, Stalin, Pol Pot, Mao Tse Tung, Castro, or Fascists like Hitler ….. All Tyrants dripping with the blood of people like us. the people justice blood purge cometh. Bet on the people; none can defeat the Mother Womb. Uh, am I the only one thinking “WTH is Karen Pence doing going out abd getting a teaching job?” Doesn’t she have official duties? Couldn’t she offload the First Lady at some events? Doesn’t she have enough to do supporting her husband as VP? This is absolutely insane, with all the security logistics involved she will be nothing but a disruption in the school. I sort of like that she is doing her own thing. Plus it resonates with we everyday working types. I like this perspective…a lot!! Are you saying teaching our children is less important than playing at politics? Maybe that’s why our schools are less than we would like them to be. Joe Biden’s wife taught at a community college in Virginia while Joe was VP. Why the criticism of Mrs. Pence for doing the same thing? Yeah, you are the only one. Didn’t Jill Biden hold a teaching position at a local college, too? At the moment the drummer made the move away from his little group of supporters, the action of the people with cameras looked exactly like the pre-staged coverage for the TJ gas photo. Pre-planned to a T.
Yes. It seems the Covington young man did indeed understand that aspect of the provocation and he didn’t fall for it. Nevertheless, the liars used out-of-context video and had the advantage of being able to “prime” the public to “see” what the activists wanted them to falsely perceive. With a few (heroic) exceptions, black culture has been destroyed by the Fed gvt. and hollywood. They are now going after white anglo-salon culture. Their assumption is that Barrett will be the nominee. If she isn’t, the leftists will have shown their hand too early. Knowing what we know now about President Trump, does anyone think that he will pick Barrett? Knowing what we know now about President Trump don’t you think it’s possible that he lets fake news leak that Barrett would be the nominee but has someone else in mind so the left will expand all their ammunition and look Unhinged to an increasingly awakened population? The Alinsky playbook doesn’t work anymore, but it’s all they’ve got and over the cliff they will go. At some point, gun owners will respond to Alinsky tactics, but PT will not let it get that far. I like your response Lawrence. If she’s the best candidate I think he HAS to go with her. There is an Alinsky like upside to it though. The Lefty’s have likely already war gamed another hysterical, unhinged response. They will do what, at this point, unfortunately is what has to happen: further polarize this country. They will (for the sake of their craven, fanatic base) push too far and in doing so expose themselves to the rest of the nation as prime examples of EXACTLY what we don’t want in this country any more. There’s no going back anymore, there is no chance for peaceful coexistence. This has to be pushed to its final conclusion. This has to be brought to a head and dealt with before we can get on with our lives, and our children’s lives. I sure hope Barrett is not picked. Her record is to short to really make a judgement about how she’ll be on the court. I’m for any judge who meets a criteria we can trust as conservative and an older white guy is fine with me if he holds up to scrutiny of his record. This Covington thing reads as false and staged from the beginning and now the media is still trying to push it. So why? The world is noticing. This is a distraction. What are we not supposed to be noticing? Could it be the Democrat refusal? Is there much talk about the shutdown? Have they come to realize the shutdown is backfiring? I talked to some friends yesterday. These were ordinary folks without college degrees. I brought up the ‘poor fed employees missing a paycheck’ WOW talk about being UNSYMPATHETIC!!! They had zero good to say about the arrogant little Hitlers in the government they had the misfortune to have to deal with! The consensus was the little hitlers deserved some payback for all the misery they knowingly visit upon ordinary folk. It was a very animated discussion and these are not political type folks just typical rural, flyover country types. I had the same conversation, and received the same response. It’s long overdue that the creatures that inhabit the swamp get to enjoy the fruits of the world they’ve helped create. Keep it shutdown Mr. President! Make it permanent! He should also take advantage of RIF. Too many of these employees are redundant. Save money and use it to build something useful, like the wall. I live outside of the District of Criminals. Husband, nearing retirement, works for the metro; makes less than $60K. I’ve been saying the same thing. Where were the elites when all the factories were closed? When SO many people lost EVERYTHING? How about those farmers who lost everything? Hey GET A REAL JOB!!! At least the traffic here is greatly improved!!! Yes..I really like this thought…we have to get in the habit of always asking the “Why?” when the media jumps on another bandwagon…making another false allegation, because there is always some plan behind their shenanigans! Do a little research on that “Talia” individual who just got her Twitter account suspended, and you’ll discover this wasn’t her first anti-Trump rodeo. She was behind the viral blow-up on the “Trump miss-colors the flag” story 8/25/18. Is that Jimmy “perfect NARAL score” Webb lurking in the photo? Weren’t some boneheads promoting him for Secretary of Defense just a couple weeks back? Oh, the company we keep. You do get to select your own political party. What a difference between the Covington boys and the slugs on the other side. Very good representation of Republicans vs Democrats. Calm and classy on one side and violent and scummy on the other. 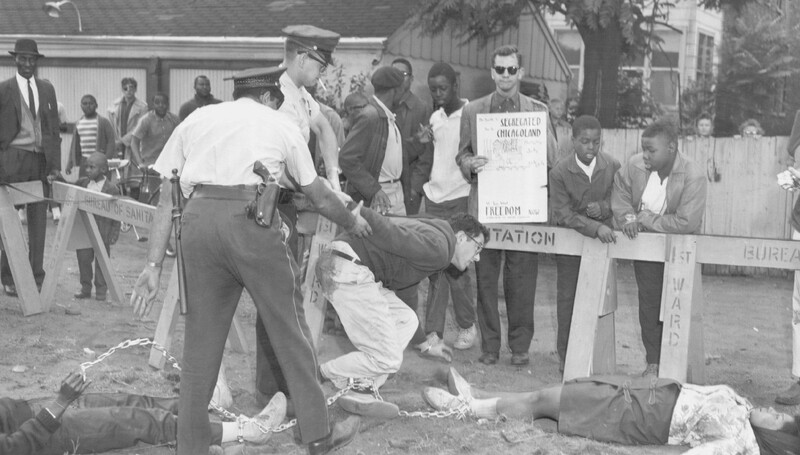 To show their hypocrisy look at how they treated the Black student and the names they called him. What a disgrace they are. I think it’s much easier than this: “Journalists” are failed or wanna be novelists. Since no one will buy their books, they create a “story” (narrative) and then edit facts to fit it nicely. Don’t you remember how Hillary would walk to the back of the plane, create a story and the media ran with it. How complicit. Then I suppose Senators Harris and Hirano bashing the Catholic group Knights of Columbus (?) is part of this; and Tulsi Gabbard came out against religious tests because of it. She sort if dug herself into hole and will have to repeatedly defend those comments on the campaign trail. The last sane Democrat in the House starting out with a serious disadvantage. Gabbard displays outstanding groveling skills. But she’ still toast. like Corey, this incident is an opportunity to bring more supporters to America First! 45 stood by Corey because loyalty, friendship and The Truth mean more than political points!! the others who “jumped” need to remember!!! “Spartacus”, as in back-alley Newark. Possible Redpill moment: Both sides were in on the farce. It was the Black Israelites hurling insults at the kids that was the only non-manufactured part of this story. I can’t be the only one thinking this. Certainly among areas were there is already Trump support. Where it doesn’t change anything is among Trump Haters. Once this was debunked they started doing more digging into the kids and school. For them wearing a MAGA hat is racist and it’s as bad as a white hood. They turn and attack anyone who even questions what happened. That’s were the red pilling happens. Read some of the walk away stories and they are all different, but mostly all the same situation. Love the #WalkAway videos. If any of you haven’t checked them out, do so. I think they’re still mostly on YT. So certain press and others are apologizing most likely due to fear of litigation but what about Injun Dan and the Black Israelites? More footage of their vile racist insults need to be aired and faces need to become names. Alinsky’s Achilles Heel remains his purblind neglect of politics’ Conservation Principle: “Sauce for the goose” arguments all cut both ways. Allied with Cloward-Priven sabotage of all “due process”, “Rules” relentlessly dishonest, libelous and slanderous politics of personal destruction, render loutish kleptarchs liable to annihilation once civil safeguards are removed. Over time, as ingrown ideologues’ despotic coteries reveal themselves, even sadsack True Believers come to ask, “What’s in this for us?” As infantile-regressive brownshirt/red-armband cohorts bleed away, ever more extreme positions accelerate the process until everyone outside the Fuhrer Bunker faces ruin. But by then –see Cambodia, Cuba, Venezuela, Zimbabwe– the societal damage will redound for generations (“You have made a desert, and called it peace”). America aufwache– aux armes, Citoyens! Either take (figurative) arms against Alinsky’s self-immolating Sea of Troubles, and by opposing end them, or you and thy posterity will rue the day. That’s why the media is their ‘duct tape.’ It covers for them and fixes everything long enough to be forgotten. An ugly and terrible thing, but they created more Conservatives for the future that day. Once your eyes are opened, they can never be closed. The filthy left shook the rose colored blanket of youth, and they saw the dirt lying underneath. Progressives have a feral understanding of power and they are very hard to combat with diffuse coalitions. Alinsky well-understood that. He fully understood the tremendous power of organized attack. It has taken his progressive disciples close to 60-years to chop down our institutions of civil government and turn our educational and justice systems into the mess that they have become. For us ever to prevail, we must at some point engage, because lethargy and contentment are the assassins of nations. That is simply the verdict of history. PDJT has shown a bright light on the path we must take. What is it can we learn from him? NEVER be afraid to confront the problem. That, I believe is his key to his success. Don’t turn away, don’t be afraid to speak out, don’t be afraid to wear the mantle you profess to believe. We saw a glimmer of this admirable trait in that very brave high school boy from Covington. John Adams once warned that our constitution was made only for a moral and religious people, and that it was wholly inadequate to the governance of any other. Progressives realize this, and know that they can’t control a free and moral people. You must first demoralize them and remove faith from their lives before you can enslave them. Our only choice is to shamelessly refuse to allow them this ground. If our republic is worth saving, then getting engaged in the good fight and staying in it long term is our only choice. We ALL need to get back to church (or synagogue), pray, and PRACTICE our faith EVERY DAY!!!! It’s up to us to change our culture back!!! #14. Respond “alrighty then” to fellow treepers whos comments you don’t understand or agree with. Rule for Radicals is something that all free Americans need to learn and understand then you’ll have a playbook of what is up 24/7 with the doctrinaire leftist MSM. It is imperative to understand that there is “no” journalism school that cares about the 1st Amendment for any other purpose than to bludgeon you and I into submission. They have succeeded in this with the Republicans from Nixon forward, his demise showed the way. Dumb move Nixon, dumb move Republicans. The good news, our President understands this and is a student of Sun Tzu The Art of War, the ultimate Measures & Countermeasures book of wisdom. You can even take that worm Alinsky and find an appropriate countermeasure to his 13 rules, using Sun Tzu. This is why it’s imperative that we back our great President Trump. He’s aware of what’s hounding him. He knows what we know times a hundred. He has all of the facts. He is a position to blow the roof off of the cabal, and the cabal knows it. Try not to be emotional, follow the Presidents lead “sit back and enjoy the ride” I believe this great man has the entire battlefield in front of him, something that non of us have, and he will move or not move when the time is right. MAGA! …by keeping the faith and keeping your head. As always…an excellent post StanH. Wise words! Thank you Patriot. Thanks. When the hand wringing begins, ask yourself, “if not President Trump then who, if not now when?” We all know the answer, there is no other option, and the time is now. We are in a fight for our country. The good news these leftist jackals are truly a small portion of our country. Their support is a mile wide and a millimeter thick, poke at it and it will evaporate. They pull this off this illusion with the MSM, “Power is not only what you have, but what the enemy thinks you have.” Ignore the press they are our enemy. Stan H.- Daniel Greenfield nails it in this article- Journalism doesn’t Exist. Chess. Watch each piece on the board and position yours for maximum effect. We are the chess pieces. As for myself, I accept that responsibility gladly. Until outmatched with the truth, via an archery expert (hero in the making) and several other coy and virtuous peasants. (acting in real life in the opposite of what was typecasted in the movie)? That’s double role is a sample of the iceberg that is below the water line. As sage grandpa said to his grandson over 35 years ago: “don’t take any wooden nickels”. It was not easy, but we have placed some good leaders in the WH, and elsewhere and it will need to be followed by more from the U.S. pipeline that have the experiences – via proven actions and virtues – to uplift the truths. …crumble due to the enlightenment of truths that are supported by the more virtuous (but not perfect humans) we-the-people of this USA (and other good natured countries). This article should be required reading for everyone on our side. One of Sundance’s greatest hits. Without the media, Alinsky tactics are useless. Are there “bad” people who happen to be Jewish or is it all Jews? How about gentiles? Any black people? White, red or yellow people? Find me any nation, tribe, religious, ethnic…well, any group of more than oh…one…and that person could be the worst human on earth…where the wicked don’t exist. There isn’t one, not one continent, one people, one anything anywhere in the past, present or future that has been spared from counting among its ranks the criminal, the immoral and the mentally disordered. Blaming Jews is like blaming all white men or all black men or all Indians, or all women, etc. It’s a gross generalization never intended to call out wrongdoers, but for wrongdoers to deflect from their own crimes by persuading others they’re needed to protect them from bad people, identifiable, not by ideology, philosophy or even deed, but by DNA. If someone lies, it’s because they know they are doing, or have done, something illegal or morally wrong. No need to lie to cover up something genuinely good, but beware, liars will spin wrong as good. It’s about power. Always has been and always will be. Wickedness is a human issue, one that every individual is responsible for choosing or rejecting every single day. Individuals are accountable for their choices and actions. No one else. Human nature is what it is. It’s not color coded, geographically definable or ethnically identifiable. When we hear this sort of blanket blame, we should also hear: “Caution! Danger ahead! Gateway to power-lies around the corner!” Turn back. Thank you for that excellent response. What Big Media informs/misinforms/censors sometimes it is entered or omitted from the History Books. History Books Shape and Control Lives. Such as the Big Lie that Michael King, Jr’s group was Peaceful and Civil. They never show you the organized rock throwing thugs in the back and the massive destruction left behind. The Press pushed that their Constitutional Rights were violated, yet never told you that in the rear of these “Civil”, Rights Marches were thug rock throwers destroying every glass storefront and window along the route through the towns and cities. Once a business storefront glass is destroyed, looting, and destruction followed. Local business owners and City Leaders would never give a Permit to March to known criminals that repeatedly destroyed every business they could. The Uncivil Commie Hordes invaded small towns main street and were met with Police attempting to protect businesses from destruction. If your means of providing for yourself and your family (business/job), or your means of shelter (home) were threatened with destruction you would act accordingly. I have this idea that artists like GaGa are created, propped up, made famous, with the clear intention that they will operate as ‘opinion leaders’, that they are part of the Dem’s ‘smart politics’, as defined in the first Obama years. I know for sure that acts like ‘Die Antwoord’ in South-Africa and the connected artist ‘Little Big’ in Russia are in fact CIA or Soros projects with a political aim. Look. The Catholic Church has been infiltrated by leftists for 100+ years. Right after the Russian Revolution, the Communists in America started infiltrating the Government, Public Schools, Catholic Churches, Unions, Entertainment industry and media! Read Bella Dodd’s Book “school of Darkness” or listen to her congressional testimony on youtube. They specifically put into these institutions, incl the church, perverts and deviants of all stripes, in positions of power – and like has hired like for decades. The goal was to create doubt. To destroy form within. See what Alice Von Hildebrand had to say about it. Also on youtube. Most “Catholic” schools and churches today are fake. Covington threw those kids under the bus at first. Make sure to go with an old school Roman Rite order. Yeah! 100% correct! We drive an hour each way to go to a TLM Sunday Mass. THAT is where things will start to correct themselves, first in the Church, then the nation, and the world! The pro-life Catholics seem to be targeted here, but we must look deeper and realize that the Jesuits, of which the Pope is one, have since Vatican II enthusiastically adopted Alinsky teachings at all their schools. Saul Alinksy, as we know, worked inside the Chicago Mob as a lawyer and has cited mafia tactics as a large part of his inspiration in creating Rules for Radicals, thus revealing that organized crime, not social justice, is the actual underlying nature of the left as it is often referred to by the innocent sounding euphemism “community organizing.” Keep in mind also that the labor union has its own long history of being controlled by organized crime and, not coincidentally, by Democrats. Hugh Rodham, Hillary Clinton’s father was Chicago Mob boss in the years Alinsky was involved with the Chicago Mob. Hugh Rodham allowed teenage Hillary to be mentored personally by Mob lawyer, Saul Alinsky. Why? These relationships are the exegesis of the modern Democrat party and hence that of the so-called uni-party. Now, back to the Jesuits and their role in militant infiltration of all institutions. The post-Vatican II ecumenical changes, which in effect produced the Democrat apostate Catholic Church, are of a Jesuit nature and also conform to the ongoing Alinsky tactics that are referred to in John Podesta’s “Catholic Spring” remark. The seeming war against pro-life Catholics is primarily Jesuit led for, without this military arm of the Vatican playing its part in the subversion, the Democrat Party would fragment and fade away. Quite frankly, it is none other than everyday Catholics who vote Democrat that have saddled the USA with being run by an international cabal of crime families. The CIA, by the way, is the most powerful Jesuit-infiltrated institution in the USA which serves the global interests of organized crime. When CIA chief Allen Dulles began contracting Mob hit men such as Johnny Roselli to do “wet work” for the Agency, the evil alliance was formed which was further solidified by GHW Bush who, himself a CIA chief, recruited Hillary Clinton and her husband Bill in a sort of CIA-Mob marriage of convenience around Latin American cocaine traffic. into the USA. Hillary was mentored by Alinsky in political techniques but, we must not overlook, also in the ways of organized crime by her own father, Chicago Mob boss, Hugh Rodham. Until Alinsky tactics are seen as merely a euphemism for organized crime and its operatives are dealt with as criminals under the RICO statute, politics and elections will produce no solutions to our national problems. Above all – and this is crucial – all Jesuits and Jesuit institutions have to be declared traitors, enemy combatants, and be attacked by military means, for indeed the Jesuits are a military order at war with our country, posing as merely part of a religion, but very able to secure the loyalty of those who will commit treason against any nation on behalf of the Pope the head of the Vatican State. I repeat: Jesuits, and roughly half of Catholics in the USA, will need to be declared enemy combatants or the deep state will prevail. It is as simple as that. 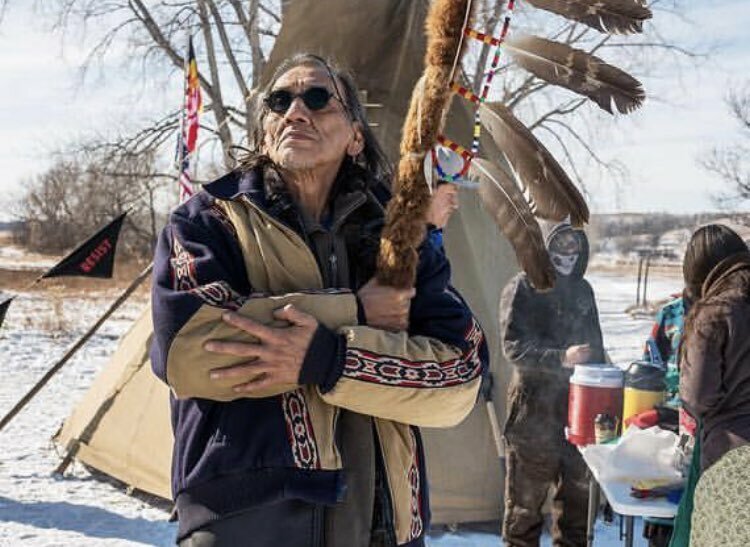 From the background flags on this photo and the guy with the skull mask, it’s safe to say that Nathan Phillips is no fan of Trump and would consider MAGA hat wearers an immediate enemy. Reminds me more of……antifa. Obama’s legacy is on display. Moderators, please block this bigoted scum-bag. He has no place commenting here. This is the same guy who has now known to have LIED about important parts of the encounter, and has said virtually nothing negative about the “Black Israelite” scumbags. Yes he admits they were yelling racist garbage… but he also claims, FALSELY, that the kids were doing the same. So NO, I gotta nothing good to say about Mr Phillips right now. Which honestly feels a little weird to me, since about 99% of the time I’ll support American Indian causes. But this guy?… nope, seems like a fraud with an agenda.